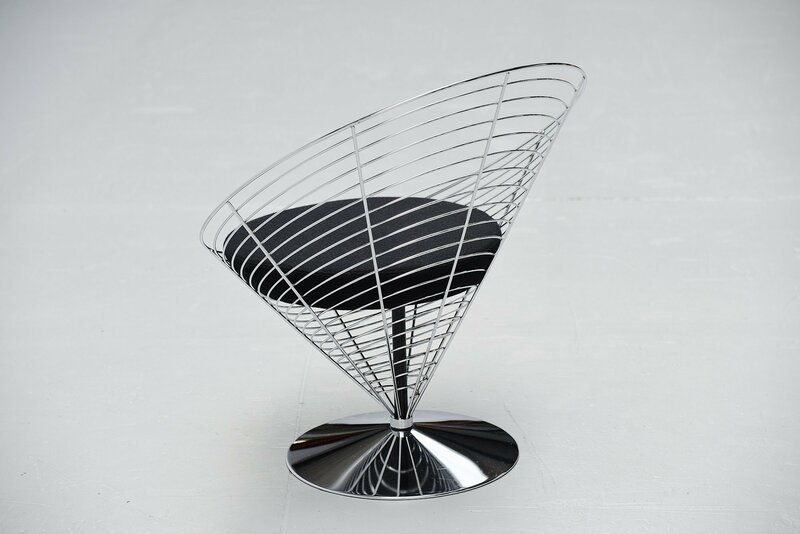 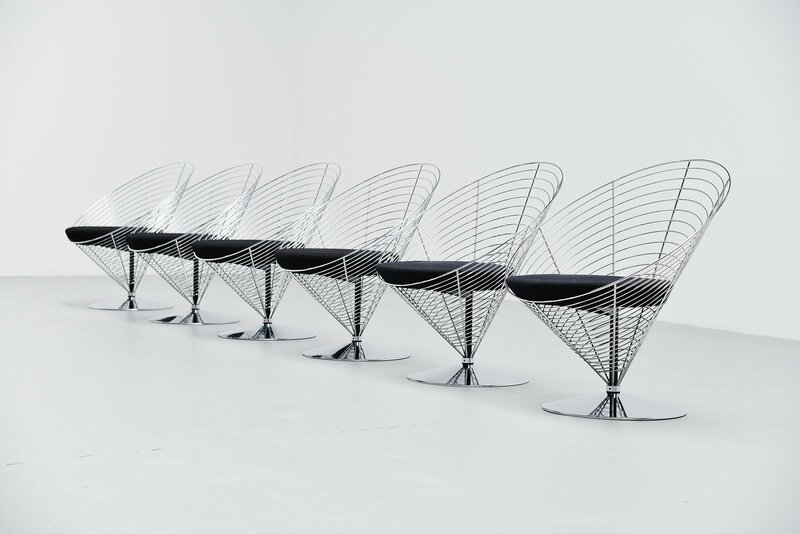 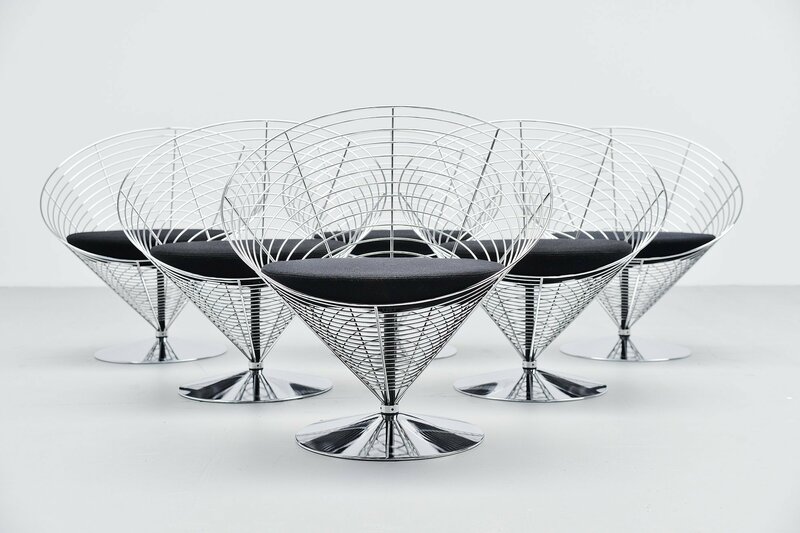 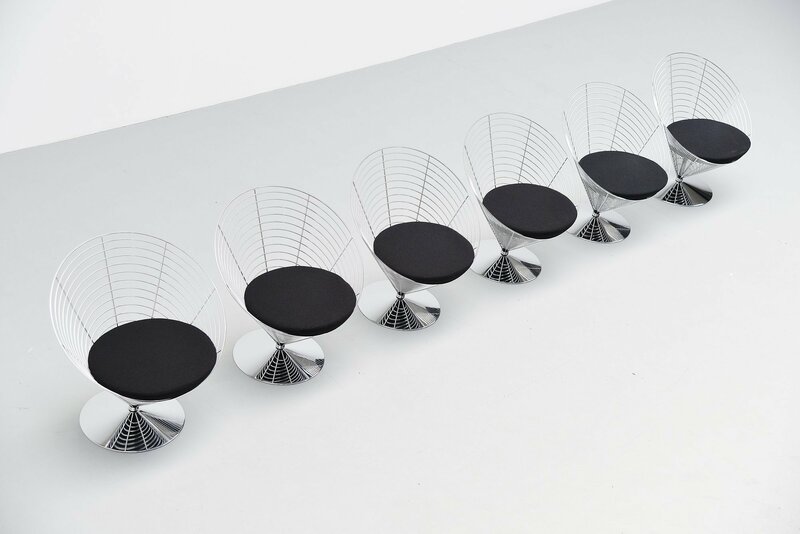 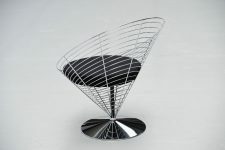 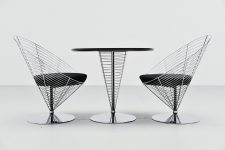 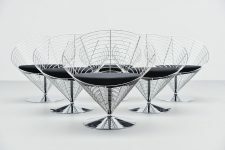 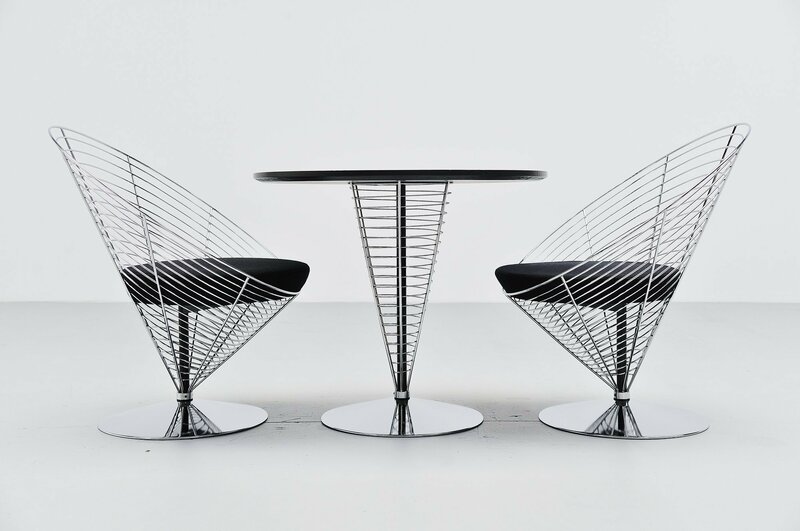 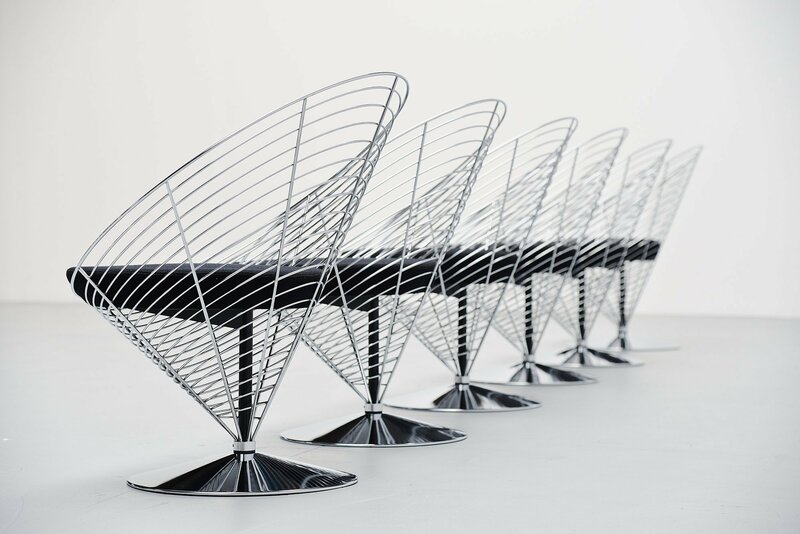 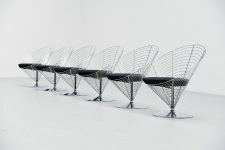 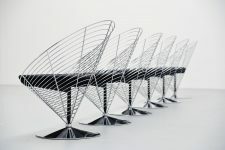 Very nice and rare set of 6 ‘wire cone’ chairs designed by Verner Panton and manufactured by Fritz Hansen, Denmark 1988. 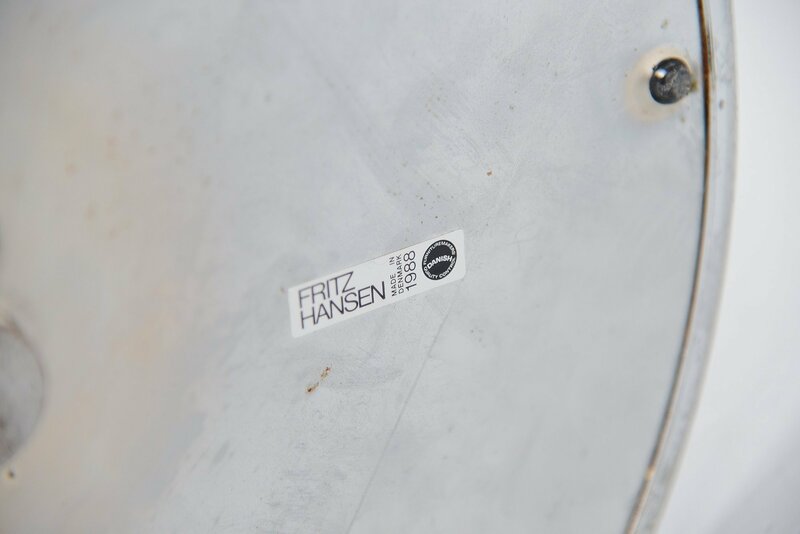 This is for a set from the very first production in 1988. 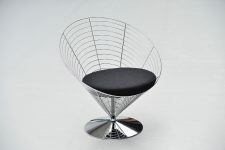 This model, V-chair 8800, differs a little in construction from the original ‘cone’ model introduced in 1960. 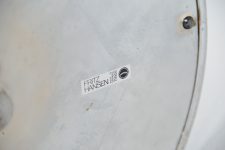 This model was in production from 1988 to 1993. 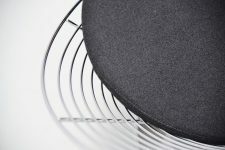 Black wool fabric on seat is in excellent condition. Very hard to find in a set of 6.